Which Lizzy/Darcy publicity bức ảnh do bạn like the best? I know we are những người hâm mộ of P&P 95 but that doesn't mean it's your fave. Which P&P version is your favorite? Excluding Lizzy, who is your yêu thích Bennet daughter? IF bạn tình yêu PRIDE AND PREJUDICE-- you'll tình yêu this new book. Its called 'Edenbrooke' bởi Julianne Donaldson. Check it out. I actually thought it was better than Pride and prejudice (hard to fathom). bạn MUST READ THIS!!! If bạn tình yêu PaP then bạn will ADORE Edenbrooke. It is a relatively fast read. I have read it twice the past week. It is THAT good. 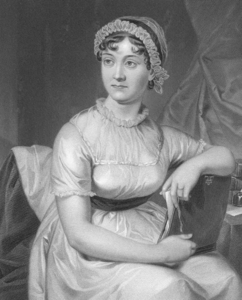 There have been numerous adaptations of Jane Austen’s celebrated 1813 novel, ”Pride and Prejudice” over the past decades. Two of these versions happened to be BBC miniseries that aired in 1980 and 1995. It has been a long time since I have viewed the 1980 miniseries. However, I recently saw the 1995 miniseries for the umpteenth time and decided to finally write a review of it. Adapted bởi screenwriter Andrew Davies, the miniseries was produced bởi Sue Birtwistle and directed bởi Simon Langton. During my tìm kiếm for Pride and Prejudice sequels, I have managed to come across many websites that offer P&P fanfiction. I thought I would post my findings here for all to enjoy. The stories on these sites range anywhere from one hoặc two stories to hundreds of stories, so browse at your leisure. Most of these stories that I have come across seem to be based off the 1995 miniseries version of Pride and Prejudice. *You begin to wonder why all phim chiếu rạp are not six episodes long. *The movie just keeps on getting better every time bạn watch it. *On a gần đây visit to a local lake, bạn were inspired to dive in and go swimming fully clothed. Here is a danh sách of other spots on FanPop that correspond with link. Some of these may be general Pride and Prejudice spots that include content related to other Pride and Prejudice phim chiếu rạp (i.e. 1940, 1980, 2005, etc.). This danh sách will also include spots for the actors/actresses themselves in addition to their characters. ‘Benjamin Whitrow has never được trao a bad performance,” đã đưa ý kiến Laurence Olivier, who employed the actor in his National Theatre company at the Old Vic for seven years in the late 1960s. Just finished rewatching it for the first time in several years! Man, I tình yêu this miniseries. Definitely the best P&P adaptation, best Jane Austen adaptation and just one of the best miniseries ever. Which cast member is related to Jane Austen?